Yes, Winter is My Favorite Fashion Season | Grand Central Magazine | Your Campus. Your Story. Winter is the best season for fashion. Don’t fight me on this. I hate the cold – but winter fashion is so versatile and cozy, you really can’t beat it. Here’s a few of my favorite things about dressing in the winter, and hopefully you can learn to appreciate the season’s looks, too. Coats can make or break or your outfit in the winter, since it’s pretty much the focal point. A big fuzzy coat can bring a fun flair to your look, a black parka is more studious and a peacoat is seen as classy. 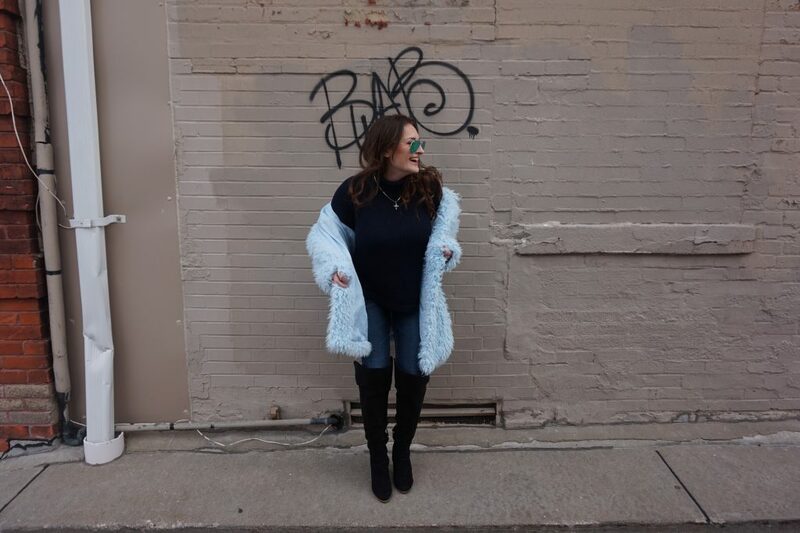 What’s underneath is not nearly as important as what’s on top when it comes to winter dressing, so it’s important to style your coat to the look you want for the rest of the day. Layering with sweaters, vests and scarves is so essential in January. Not only does it help you escape the bitter wind, but it can help put together the rest of your look. The simple skinny jeans and a t-shirt look can be sweet with a pretty scarf, rocker with a leather jacket and preppy with a vest. Adding tights to a dress or skirt is also essential to keep legs toasty, and it adds a bit of professionalism. Playing around with multiple layers and different accessories is fun, especially when you can add or take some off depending on the temperature of the room. Winter is the best season for footwear. I feel like I just have more options when it comes to shoes in winter than in summer. Ankle booties, rain boots, snow boots, high-knee boots and work boots help you tread from class to class while still looking your best. Rain boots are nice for a day when it’s muggy and rainy out, and not as slippery – and you want a preppier get up. Ankle booties and high-knees are reserved for when slush is minimal, and you want to show out in the classroom. Snow boots and work boots keep feet nice and warm, while looking a little rugged, like you might hit the slopes after class. You may not be able to parade downtown in mini-skirts and heels, but it doesn’t mean you can’t embrace a different sense of style in the snow. Separator image Posted in Campus Fashion, Student Styles, Style, Style & Beauty, Women's Style and tagged with coats, Devon Rademacher, Hailee Kaske, Style, Style and Beauty, Timberlands, winter dressing, winter fashion.